The tall tree that this city is named after is the El Palo Alto and the city itself has a focus on the preservation and promotion of various habitats. Estuarine, riparian and oak forest habitats are contained within the boundaries of Palo Alto. Foothill Park is owned by the City of Palo Alto and it provides excellent viewing of all the unique habitats that have been recognized and protected. This includes a vast selection of tree and plant species. As we are located only 15-minutes away in Redwood City, it is easy for us to service our customers in Palo Alto. For a free estimate on any of our tree care services, call or e-mail us today. There are only a few legitimate reasons to remove a tree. If an unhealthy tree becomes a risk to other nearby trees or a hazard to people or property, the best solution is removal. There are many municipalities that require Tree Removal Permits and we can take care of all the paperwork. If we have determined a tree must be removed, we will complete whatever is required to achieve that goal. 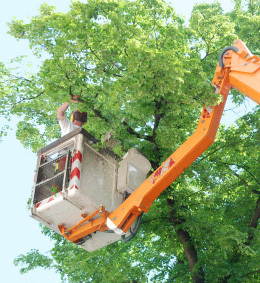 At Econo Tree Service we take all our tree care programs seriously – including tree removal. For your free estimate on this service program, call or e-mail us today. Tree pruning is useful in many ways but it primarily assists with proper tree growth and cosmetics. That being said, pruning and trimming can cause unnecessary stress to a tree when conducted at the wrong time. Our Certified Arborists can examine your trees and determine when the right time in their growth cycle occurs – and prune around that cycle. For your free estimate on our tree pruning service contact us at Econo Tree Service today by phone or e-mail. There was a time when you had to dig around a stump and hack away at it for days to get rid of it. Nowadays the stump grinder eliminates them in an afternoon. Stump grinding involves a specialized machine with a spinning blade that chips away at a stump a layer at a time. Eventually the stump is reduced to a pile of wood chips, shavings and mulch. And the best part is that the remains of the stump can be recycled into your garden or yard. For a free estimate on our stump grinding service, call or e-mail us at Econo Tree Service today. Tree health care is vital to the survival of your trees. It takes detailed examinations and testing of various findings to determine the overall health of your trees. It also means that if there is a problem, we can provide advice on different treatments. At Econo Tree Service we value trees and what they do for our property, health and environment. To find out more about our tree health care program call or e-mail us today. Econo Tree Service was established over 25 years ago by Certified Arborist Henry Kramer. We are based in Redwood City, California and service customers in the Peninsula from Millbrae to Santa Clara including Palo Alto. 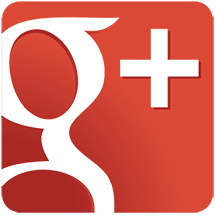 For a free estimate of any of our tree care services – including those not mentioned here – and you are in the Palo Alto area, all you need to do is contact us. Phone or e-mail Econo Tree Service today.